End Times Prophecy of Our Lady at LA SALETTE, France, 1846, Redarging the End of the World and Satan's End Times Antichrist Kingdom! Prophecies of St. Bridget on the Birth of Antichrist & Coming Apostasy From the Catholic Faith! Fatima Prophecies of Our Lady Regarding the End Times & Coming Apostasy From the Catholic Church! 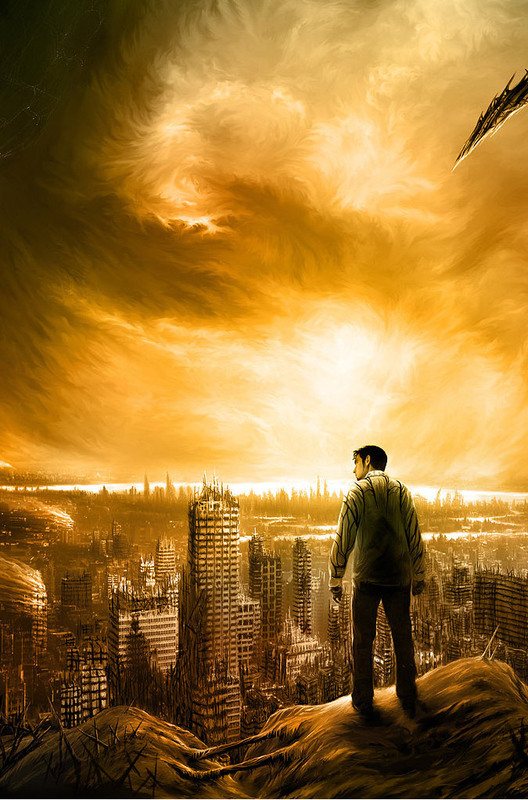 Read our amazing collection of various end times prophecies concerning our times, the advent of Antichrist and possible doomsday scenarios by an unknown threat, called by some Nibiru or Planet X in or around the 2012-2024 timeline. What’s causing all the Earthquakes and Apocalyptic worldwide weather phenomenon lately? Watch our videos and find out! Johannes Friede (13th Century): "When the great time will come, in which mankind will face its last, hard trial, it will be foreshadowed by striking changes in nature. The alteration between cold and heat will become more intensive, storms will have more catastrophic effects, earthquakes will destroy great regions, and the seas will overflow many lowlands. ... the universe will be thrown into disorder, and the... nights will be filled with more intensive cold and days with heat... The heat means radiation from the earth, the cold the waning light of the sun. Only a few years more and you will become aware that sunlight has grown perceptibly weaker." 1. Doomsday: According to Prophecy/Predictions. 2. Natural and man made doomsday events. "And I heard a great voice out of the temple saying to the seven angels, Go your ways, and pour out the vials of the wrath of God upon the earth… And the second angel poured out his vial upon the sea; and it became as the blood of a dead man: and every living soul died in the sea. And the third angel poured out his vial upon the rivers and fountains of waters; and they became blood. And the fourth angel poured out his vial upon the sun; and power was given unto him to scorch men with fire. And men were scorched with great heat, and blasphemed the name of God, which hath power over these plagues: and they repented not to give him glory. And the fifth angel poured out his vial upon the seat of the beast; and his kingdom was full of darkness. And the sixth angel poured out his vial upon the great river Euphrates; and the water thereof was dried up, that the way of the kings of the east might be prepared. And the seventh angel poured out his vial into the air; And there were voices, and thunders, and lightnings; and there was a great earthquake, such as was not since men were upon the earth, so mighty an earthquake, and so great. And the great city was divided into three parts, and the cities of the nations fell: And every island fled away, and the mountains were not found. And there fell upon men a great hail out of heaven, every stone about the weight of a talent: and men blasphemed God because of the plague of the hail; for the plague thereof was exceeding great." "Behold the day of the Lord cometh cruel both with wrath and fierce anger to lay the Land desolate: and He shall destroy the sinners thereof out of it. For the stars of Heaven and the constellations thereof shall not give their light: the Sun shall be darkened in his going forth, and the Moon shall not cause her light to shine. And I will punish the World for their evil and the wicked for their iniquity; and I will cause the arrogance of the proud to cease, and will lay low the haughtiness of the Terrible. I will make a man more precious than fine gold; even a man the Golden Wedge of Ophir. Therefore I will shake the Heavens, and the Earth shall remove out of her place." "For then shall be great tribulation, such as was not since the beginning of the world to this time, no, nor ever shall be. And unless those days should be shortened, there should no flesh be saved: but for the elect's sake those days shall be shortened. Immediately after the tribulation of those days shall the sun be darkened, and the moon shall not give her light, and the stars shall fall from heaven, and the powers of the heavens shall be shaken. But of that day and hour knoweth no man, no, not the Angels of Heaven, but my Father only." "And there shall be signs in the sun, and in the moon, and in the stars; and upon the earth distress of nations, with perplexity and anguish at the roaring and tossing of the sea and the waves; Men's hearts failing them for fear, apprehensive of what is coming on the world, for the heavenly bodies will be shaken." "But the day of the Lord will come like a thief. The heavens will disappear with a roar; the elements will be destroyed by fire, and the earth and everything in it will be laid bare. That day will bring about the destruction of the heavens by fire, and the elements will melt in the heat. But in keeping with his promise we are looking forward to a new heaven and a new earth, the home of righteousness." "Before the comet comes (Nibiru/Planet X? ), many nations, will be scourged by want and famine. The great nation in the ocean that is inhabited by people of different tribes and descent (USA?) will be devastated by earthquakes, storms and tidal waves. It will be divided (New Madrid Fault?) and, in great part, submerged. The comet will by its tremendous pressure force much of the ocean and flood many countries, causing much want and many plagues. All coastal cities will live in fear, and many of them will be destroyed by tidal waves, and most living creatures will be killed, and even those who escape will die from horrible diseases." Contrary to popular claims, there is no evidence that Mother Shipton was a witch. She was born in England in 1488. She was baptized a Catholic and given the name Ursula Sonthiel. Now, onto some of her predictions. Then half the world deep drenched in blood shall die." In land that is yet unknown." Be sure that it will certain be." Old worlds die and new be born." And snarls about his fellow men." You think it strange. It will come true." You think it strange. But it will be." "Before the war breaks out again, food will be scarce and expensive. There will be little work for the workers, and fathers will hear their children crying for food. There will be earthquakes and signs in the sun. Toward the end, darkness will cover the earth. When everyone believes that peace is ensured, when everyone least expects it, the great happening will begin." As with Mother Shipton, there is no solid evidence to back up the claims that Michel de Nostredame was an occultist or magician. He was born in the South of France in 1503 and was baptized a Catholic. A member of the Third Order of St. Francis, he enjoyed the friendship of Pope Pius IV. He was a devout Catholic all his life, and he died in 1566. "As to the material changes that are to be as an omen, as a sign to those that this is shortly to come to pass - as has been given of old, the sun will be darkened and the earth shall be broken up in divers places - and then shall be proclaimed - through the spiritual interception in the hearts and minds and souls of those that have sought His way - that His star has appeared, and will point the way for those that enter into the holy of holies in themselves. For, God the Father, God the Teacher, God the director, in the minds and hearts of men, must ever be in those that come to know Him as first and foremost in the seeking of those souls..."
"There will be the upheavals in the Arctic and in the Antarctic that will make for the eruption of volcanoes in the torrid areas, and there will be the shifting then of the poles -- so that where there has been those of a frigid or the semi-tropical will become the more tropical, and moss and fern will grow." "The waters of the lakes will empty into the Gulf, rather than the waterway over which such discussions have been recently made. It would be well if the waterway were prepared, but not for that purpose for which it is at present being considered. Then the area where the entity is now located (Virginia Beach) will be among the safety lands, as will be portions of what is now Ohio, Indiana and Illinois, and much of the southern portion of Canada and the eastern portion of Canada; while the western land -- much of that is to be disturbed as, of course much in other lands." * A sudden change in the physical constants governing the universe, such as that created by a vacuum metastability event. * A close approach of a black hole to the solar system. * A gamma ray burst or other devastating blast of cosmic radiation. One especially deadly hypothesized source is a hypernova, produced when a hypergiant star explodes and then collapses, sending vast amounts of radiation sweeping across possibly hundreds or even thousands of lightyears of space. * A drastic and unusual decrease or increase in Sun's power output; a solar superstorm leading to partial/complete electrical/technological death of human civilization. * Abrupt geomagnetic reversal and/or drastic decrease of magnetic field of the planet Earth. Consequences can be the same as in the cases of cosmic radiation or solar radiation blasts. * A cosmic dust cloud passing through the solar system, leading to a severe global climate change. * An abrupt change in the Earth's position, such as repositioning of Earth's poles or forces on the Earth affecting rotation. It could be caused by extremely powerful internal geological or/and external cosmic factors. If it happens abruptly (and not slowly within a very prolonged interval of time which will make the effects less severe) it will generate enormous multiple earthquakes, multiple volcano eruptions, a hypercane or multiple megacyclones, giant tidal waves and megatsunamis all around the globe. * An impact event causing a collision (or extremely close passage) of a large meteorite, asteroid or comet. In the case of a close passage of an object (a large asteroid, comet or planet) with a significant gravitational impact on Earth, the consequences could be the same as in the case of an abrupt change in the Earth's position affecting rotation. And such a sudden rotation would not necessarily have to take place for the earth to see the same global effects. * A geological event such as massive flood basalt, volcanism, or the eruption of a supervolcano leading to the so called nuclear winter. Massive volcano eruption(s) will produce extraordinary intake of volcanic dust, toxic and greenhouse gases into the atmosphere with serious effects on global climate (towards extreme global cooling (nuclear winter when in short term and ice age when in long term) or global warming (if greenhouse gases prevail)). * An exceptionally devastating hypercane probably combined with global dust storm, taking up to the atmosphere enormous quantities of dust. * Severe climate change due to any or a combination of the above mentioned events. Also it could be caused even solely by drastic changes in ocean currents pattern. In general terms it will be towards extreme global cooling down (nuclear winter when in short term and ice age when in long term) or global warming up of the atmosphere and hydrosphere of the Earth, together with additional malignant effects on global and local precipitation and air circulation patterns. All these climate changes together will have devastating effects on human civilization. * A global pandemic (assuming that the causing agent of the pandemic would have a natural origin) with very high or even 100% mortality rate. * The Second Coming of Jesus Christ from Heaven to Earth as expected in Christian eschatology. The anticipated event is predicted in biblical Messianic prophecy. These prophecies include the general resurrection of the dead, the last judgment of the living and the dead, and the end of the world. * Depletion of important natural resources, assuming that alternatives are not found. * Gradual and relatively "slow" but drastic reduction of the world population through economic means such as mass unemployment, malnutrition and starvation, medical system failure and enormous increase of mortality due to lack of treatments for common lethal diseases. * A global pandemic with very high or even 100% mortality rate caused by a human-made infectious agent, which could be released among population on purpose. The source could be an individual, a laboratory workers group, a terrorist group, governmental or international organization. * A nuclear, chemical, or biological war. A "softer" and "stealthier" case of each of these 3 types of warfare could be nuclear, chemical, or biological terrorism. Again the source could be an individual, a laboratory workers group, a terrorist group, governmental or international organization. * The Svalbard Global Seed Vault is a vault buried 400 feet inside a mountain in the Arctic with over ten tons of seeds from all over the world. 100 million seeds from more than 100 countries were placed inside as a precaution to preserve all the world's crops. A prepared box of rice originating from 104 countries was the first to be deposited in the vault, where it will be kept at minus 18C (minus 0.4F). Thousands more plant species will be added as organizers attempt to get specimens of every agricultural plant in the world. Cary Fowler, executive director of the Global Crop Diversity Trust said that by preserving as many varieties as possible, the options open to farmers, scientists and governments were maximised. "The opening of the seed vault marks a historic turning point in safeguarding the world's crop diversity," he said. Even if the permafrost starts to melt, the seeds will be safe inside the vault for up to 200 years. Some of the seeds will even be viable for a millennium or more, including barley, which can last 2,000 years, wheat 1,700 years, and sorghum almost 20,000 years.